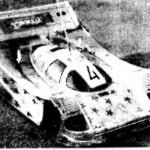 RC model car-road type buggies are increasingly present in the pages of specialized magazines for modelers and for good reason. The popularity of radio-buggy is growing steadily; apparently, these models will have more admirers than RC racing “formulas”. The reason is simple: for radiology not need specialized tracks with high quality coating, it is quite usual “primer”, supplemented by artificial obstacles. In the end, as in the “big” Motorsport, race motocross cars are always spectacular. I must say that branded radio buggy present a very complex structure, which cost about $ 250, not counting the cost of radio equipment. In spite of this at present, few dare to design and to produce such models themselves. More likely to buy the finished car, a few at least buy basic parts, made minor, and based on them collect some polosamote. However, so do those who intend to participate in competitions of a high rank. But if the laurels of the champion does not appeal, it is a decent RC model can be done independently. 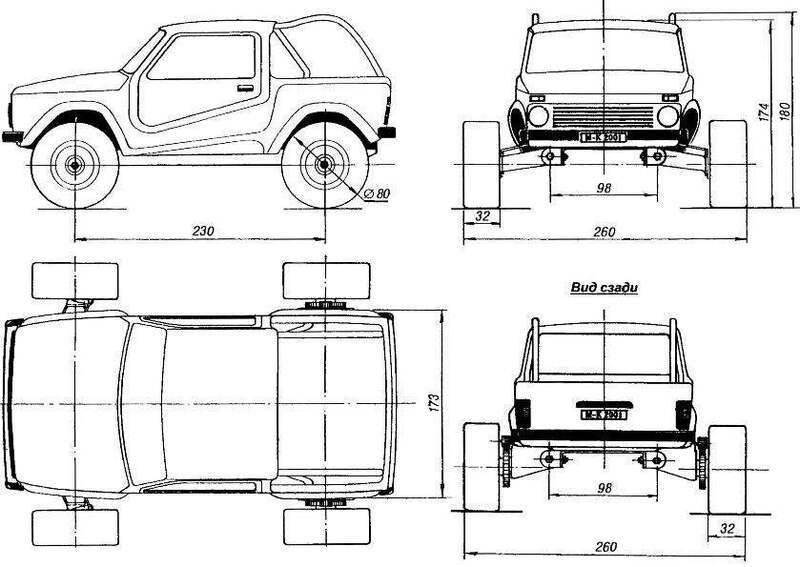 The proposed car-buggy is designed in accordance with the rules as polyopia of this SUV, which was selected jumper option domestic “Fields”— “Lada-2121”. The model is rear-wheel drive, although the design of the chassis and powertrain allows you to make both the leading of the bridge, it would wish. 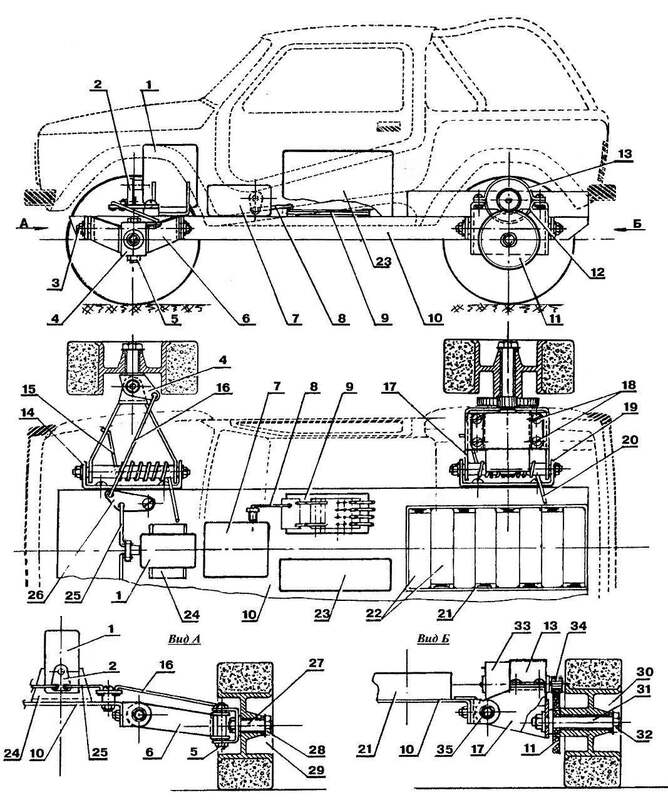 The power unit of the car consists of two electric motors Эреес1-400, each of which works only on one wheel. The motors are mounted on the rocking of the suspension, which allows to get rid of the bulky powertrain, although somewhat increases the unsprung mass. The model is based on the frame, which is a metal channel bent of duralumin sheet thickness of 3 mm. 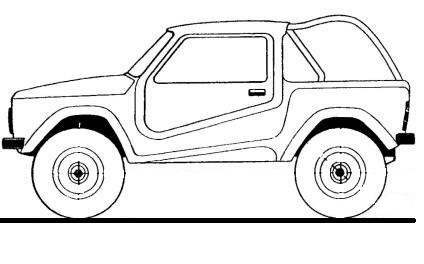 Suspension — transverse rocking with coil springs working in torsion. Shock absorbers suspension does not have them is the role of frictional plastic washers that are installed on hinges swings. Rocking the curvature of the suspension sheet duralumin with a thickness of 2.5 mm. of the same material are made and brackets levers. Each of the hinge units comprises a stepped axle, aluminum spacer, plastic liners, plastic washers-shock absorbers and a pair of nuts and washers. 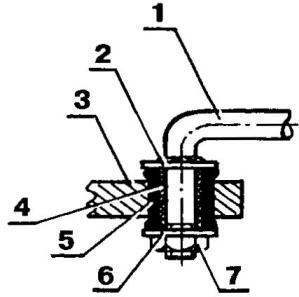 After Assembly of the rocking nut fixed nitro. The coil spring wound from steel wire, allied with a diameter of 2 mm. 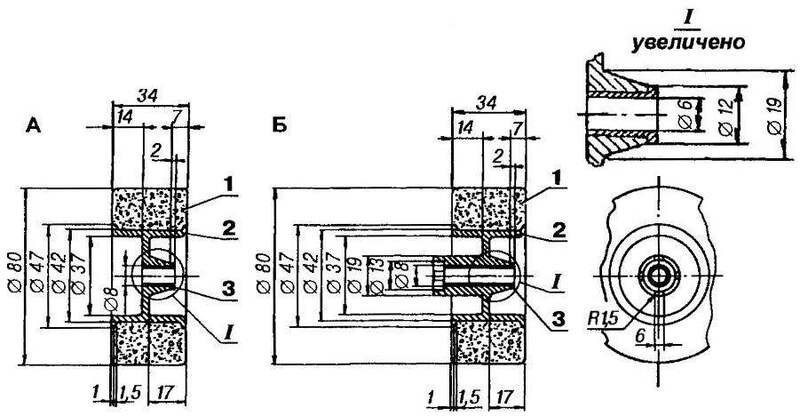 the stiffness of the springs is chosen experimentally, which had navit spring as possible (22-24 round), and then, reducing the number of turns to find the optimal stiffness of the suspension. On the front suspension arms are mounted the steering knuckles steering — they are also made of sheet duralumin with a thickness of 2.5 mm. 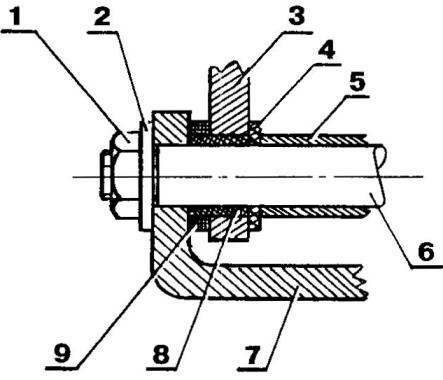 the design of the hinge knuckle similar design of swivel rocking. Driven wheels turn with the steering of the machine equipped with double-hinged rocker (steering triangle). In the steering mechanism uses the pull out steel wire type of OVS with a diameter of 2 mm and idler arms, cut from 2-mm aluminum. Joints of the steering mechanism is made using rubber liners, that enables the steering tie rods to deviate from the plane of their rotation. Of course, it would be much better to use brand ball joints, however, our simplified design works better than. As mentioned, the motors are mounted on the rocking rear axle. For this purpose, the rocking bent shoulders, forming a kind of engine mount, the engine mounted on it a pair of poluchaut bent sheet aluminum 1.5 mm thick. the horns are also mounted axle, and on them — nylon gear wheels and rear wheels of the car Master (brass or steel) gear fixed on the motor shaft. Gear ratio gear set — from 1:7 to 1:8. The wheels of the car are chiseled out of aluminum and hub homemade tire of sponge rubber. Of course, it is better to use a brand of pneumatic tyre with studs-lug-mi, but for the simplified car is fine and the homemade. These tires are best made on a lathe by using a sharp knife-cutter, using lubrication during the processing of the rubber a solution of soap or kitchen detergent “Bingo”, “Shine”, etc. To control the car used with only two teams and two servos, one for steering and the other to control the progress of the model using the switching power source and the motor. The second servo is connected with a homemade traction bar switch that allows you to connect two battery packs in parallel with reverse polarity (reversing), in parallel with direct polarity (the first speed) and consistently with a straight polarity (second speed). The switch is a glass fibre laminate plate with pistons connected to the back of the jumper. Plate, thrust connected with the steering machine, can move freely in the housing, glued Plexiglas. On the housing there are two contact groups; one group of four contacts are connected with batteries, the other with a motor. It is considered that in the manufacture RC car with electric drive can not do without supernatural and superaccumulation. So, brand RC buggy most commonly used frame Nickel-cadmiu-tions batteries with sintered electrodes with a capacity of 1200 mAh voltage 7.2—8.4 V and the motor “Mabuchi” RS-540 CX. 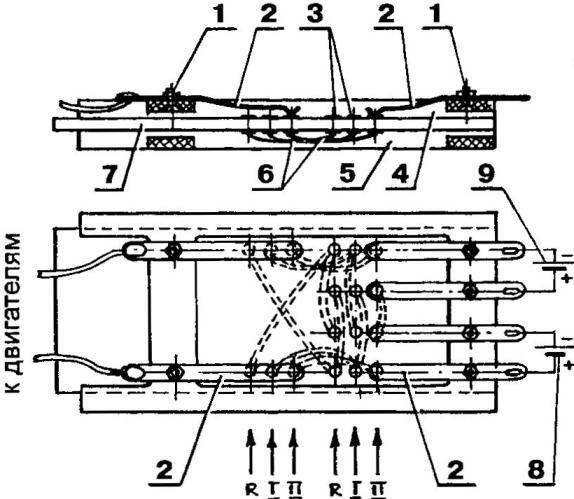 Meanwhile, for the proposed here model is quite suitable two or four blocks of the standard AA-batteries-class “Alka-line” or rechargeable batteries (diameter of each such current source 15 mm and length 50 mm) at four sources in the block and, as has been said, quite widespread, modelista motors speed 400. It should be noted that the design of the drive allows the car to use and any other suitable engines, even a low power one type DK-5-19. They, by the way, you can install two on each rear wheel, but if you want to do the leading and the front axle, equipping it with the same motors. Body buggy wikiepedia of tripati layers of fiberglass and epoxy binders on the disc. For a single instance of the body blank is the easiest way to make from foam, proshpaklevat her clay. If it is supposed to series of housings (even a single model will require several buildings for the rapid replacement of broken races), sometimes it makes sense to make a wooden collapsible, otherwise, flanging and undercuts will not allow to remove her shaped shell. The finished shell is aligned with autosplice, barked and covered with primer and two coats of enamel. Window on the model do not have to make transparent, enough to simulate, having painted the body in locations grey or black paint.